The Pro Football Hall of Fame Enshrinement Festival is pleased to announce emcees for the Fashion Show Luncheon on Friday, August 7, and TimkenSteel Grand Parade on Saturday, August 8. 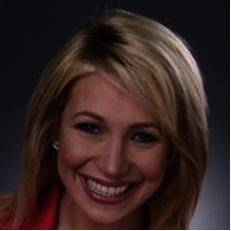 Stefani Schaefer, co-anchor of Fox 8 News in the Morning, will emcee this year’s Fashion Show Luncheon on Friday, August 7, and it promises to be a high energy production. An Alliance native, she is a graduate of St. Thomas Aquinas High School and University of Mount Union where she was an All-American Scholar and a National Collegiate Academic Honoree. While in high school, she was a featured vocalist for the Enshrinement ceremonies and she has sung the National Anthem for the Game, so she truly has a soft spot in her heart for the Pro Football Hall of Fame. She first started at WJW Fox 8 in Cleveland in 1992, then took a hiatus to pursue other opportunities including hosting a national network show broadcast out of Universal Studios in Orlando, Florida. In 2007, she returned to WJW Fox 8, and in 2008, she was inducted into the Broadcasters Hall of Fame. In 2012, she was named Cleveland's Favorite News Anchor and Favorite News Team. Football and fashion might seem like an unlikely mix, but it’s a perfect fit for the nearly 3,200 guests who enjoy the event that includes state-of-the-art sound, lighting, and video to showcase male and female models featuring the season’s hottest fashions. An exclusive bridal scene will be an exciting element in this year’s show, and the fashions will be enhanced by the excitement of several performances by Broadway star and Jackson Township native Ashley Spencer, as well as the Constellation Performing Arts Dancers. Great tickets are still available by calling the Chamber at (330) 458-2048. Early the next morning on Saturday, August 8, Schaefer will join Dan Dierdorf as co-commentators for the TimkenSteel Grand Parade. Stefani and Dan teamed up as co-commentators in 1999 and 2000, then again for the past two years. A Canton native and 1996 inductee into the Pro Football Hall of Fame, Dierdorf will bring his extensive knowledge of the game to the parade broadcast for the 17th consecutive year. After an illustrious career with the St. Louis Cardinals, he transitioned to the broadcast booth, most notably at ABC with the Monday Night Football team with Al Michaels and Frank Gifford. After 12 years, he moved to CBS where he stayed until his retirement after the 2013 season, and in April 2014, he was introduced as the new color analyst for the football radio broadcasts at his alma mater, the Michigan Wolverines. 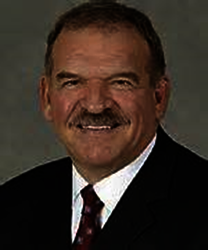 Dierdorf was the 2008 recipient of the prestigious Pete Rozelle Radio-Television Award from the Pro Football Hall of Fame. Joe Dunn will be joining the team for the third consecutive year as man-on-the-street for interviews with the Class of 2015 and many returning Hall of Famers. After a stint with the Canton/Stark County Convention & Visitors’ Bureau, he became Director of Sports Marketing at the University of Akron and is currently Vice President of Sales at Big Time Sports, a regional company producing sports talk shows and featuring high school sports coverage. Parade units step off at Sixth St. and Cleveland Ave. SW and move north to 25th St. NW, where they will begin to disband. For Enshrinement Festival and football fans wanting to enjoy the parade, great reserved chair and bleacher seats are still available for only $9 by calling the Chamber at (330) 458-2088 or by stopping in at 222 Market Ave. N from 8:30 a.m. to 5:00 p.m. weekdays. Spectators will be required to show their tickets before being permitted to sit in reserved areas, and this will be strictly enforced.